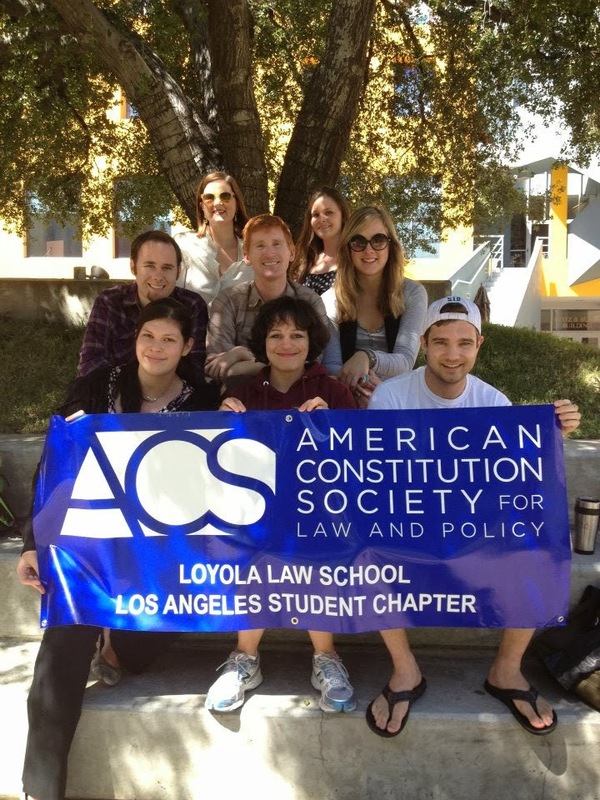 Between Turf Club and almost weekly events, even in law school many people often ask, what is ACS? When I started law school, I wondered as well. Almost three years later, I can tell you ACS has been one of the best club experiences I’ve had. 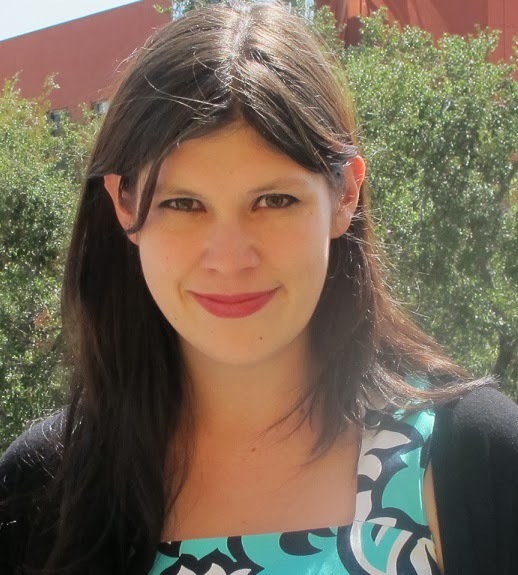 The American Constitution Society is a progressive organization dedicated to discussing the constitutional issues in a way where we critically think about how the constitution should be reflective of the needs of the people. It is the progressive counterpoint to organizations like the Federalist Society, which tend to favor “strict constructionist” or “originalism” views of the constitution. As first year law students, my friend Mark Bolin and I didn’t have much time to think of constitutional law issues between Torts, Contracts, Criminal Law, Property, Civil Procedure, and all the studying. But reading Scalia decision after Scalia decision can get a little trying on a progressive’s heart. We started going to our Loyola Chapter of ACS’s events on campus, and soon became a part of the leadership in our first year. We helped the then co-presidents, Elian and Jason, host such events including: Steven Colbert’s Attorney, Trevor Potter, coming to campus to speak about the Federal Election Committee and A Supreme Court Preview, with great legal minds Erwin Chemerinsky and Laurie Levenson. Mark and I were hooked. In our second and now third year of law school, we have served almost 2 years as our Chapter’s Co-Presidents. Mark and I have led our Chapter through some of the most interesting constitutional times, including the DOMA, Fisher v. UT Austin (affirmative action), and Shelby County v. Holder (Voter Registration cases). We keep our events current, reflecting the evolving nature of politics and hearings of SCOTUS. We’ve led our chapter to two national awards for programing, and have traveled to Washington D.C. representing our Chapter to the ACS national convention with progressive political leaders and attorneys from all over the country (including Justice Ginsberg, Justice Stevens, and even Senator Elizabeth Warren). However, as far as politics and SCOTUS case rulings go, sometimes Mark and I aren’t happy with the outcomes; after all, progressives have an ongoing struggle to ensure the goals of cases like Gideon v. Wainwright are fulfilled. 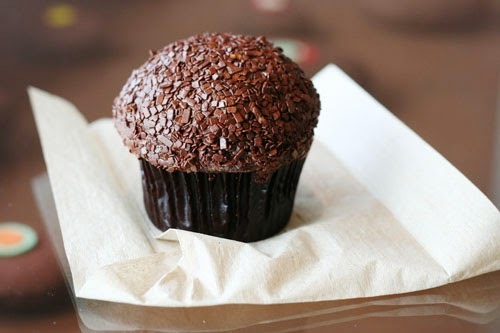 However, whenever we get down (or overly stressed with law school) we indulge in cupcake therapy to comfort our liberal hearts. P.S. 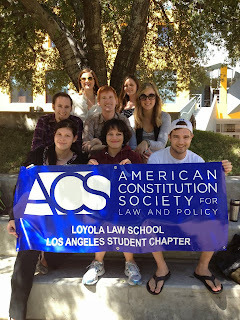 While we know we won’t be able to participate in next year’s Loyola ACS Chapter[L], we hope incoming students remember to keep a passion for issues they care about, even during 1L! It is possible.